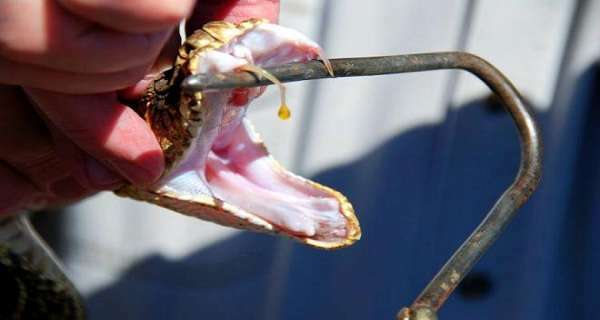 See the Effects of What Can Snake Venom Do To Human Blood: This Video Will Surely Cause You Nightmares! Even one drop can cause the blood easily to coagulate. Basically, it turns human blood into jelly. Russell’s viper or Daboia is one of the world’s deadliest snakes. This fast moving and dangerous reptile has a triangular head as most venomous snakes, and its venom is extremely toxic. These snake’s bites can most likely cause acute kidney disease that is almost always fatal. The venom also causes bleeding especially bleeding from gums.